Iraq, Zacho - most Yezidi refugees live in Zacho who have fled from the Shingal region that was easily attacked by ISIS troops. 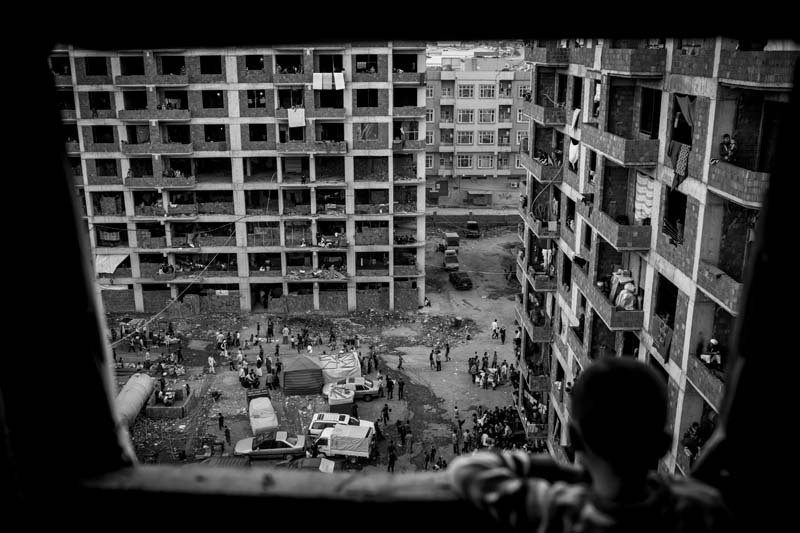 They live in destroyed houses, unfinished steel skeletons of skyscrapers. In the high-rise estate around 8000 refugees live in a confined space without food with bacteria-contaminated drinking water. Feces are everywhere.The wind blows through the floors. Many Yazidi refugees have lost everything. Many of them were so desperate that they thought about suicide.